In order to ensure that its contractors have funds to execute projects awarded them by the Federal Airports Authority of Nigeria (FAAN), the agency has decided to work with banks to provide credit access to the contractors. FAAN said it took this bold step to eliminate impediments to the execution of its projects hampered by poor credit access by the contractors, as it embarks on major airport upgrade and modernisation. The agency said its decision is in tandem with the federal government’s innovative step at ensuring and encouraging better access to funding especially for small and medium scale enterprises, noting that it would enhance the GDP growth and help diversify nation’s economy. FAAN said this would assist in developing a financing mechanism aimed at optimising the cash flow of FAAN and also provide the much-needed support to our contractors, to enable them access opportunities for working capital enhancement. 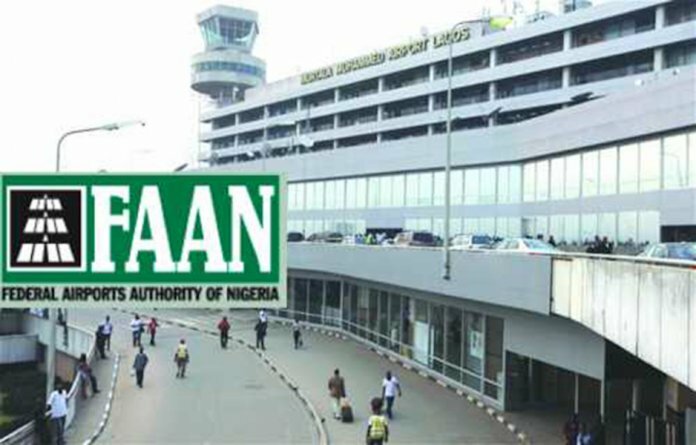 The agency also remarked that it would help FAAN improve on its revenue generation and collection; improve its financial efficiency and enhance its service delivery at all the airports under its management. The agency said that the scope of work involves working with selected financial institutions, in order to provide liquidity to its major contractors, through direct and contingent funding. Speaking while hosting its contractors and commercial banks in Lagos recently, the Managing Director of the agency, who was represented by Nurudeen Daura, the director of engineering, noted that the forum is aimed at developing a financing mechanism which will optimise the cash flow of FAAN, while also providing the much needed support to its contractors to enable them access opportunities for working capital enhancement. “The scope involves working with selected financial institutions, in order to provide liquidity to our major contractors through direct and contingent funding,” he said. Stating that investment opportunities abound in the industry, especially FAAN, he encouraged the banks and contractors to take advantage of these opportunities through constructive partnership in the overall interest of all. “I wish to mention that aviation industry is highly technical and capital intensive. The sector in recent past has undergone incisive and extensive transformation aimed at making our airports comfortable, safe, secure and conducive for commercial purposes. The achievements to date wouldn’t have been possible without support from all stakeholders like you. “Presently as at November 2018, we have seen marginal increase in our aeronautical revenue compared to the same period in 2017. A few collective and collaborative efforts have been embarked upon and several measures have been put in place to improve revenue generation and collection,” he added. Some of these collaborative efforts he mentioned include ongoing full automation of car parks, cargo operations and other revenue points; metering of all customers to ensure current and full amounts are recovered for electricity consumption and reconciliation and renegotiation of outstanding debts to ensure better recoveries. Other efforts include: engagement of customers to comply with the payment terms provided in its credit policy manual, enforcement of sanctions against reluctant or recalcitrant customers and introduction of pay as you go system for some of our revenue heads especially with difficult customers, amongst others. He noted that efforts have also been put in place to optimise cost reduction by setting up management committee on efficiency to develop strategies on efficiency, setting efficiency targets, strict monitoring and evaluation of processes and review of purchasing procedures. He said the authority has concluded on the audit of its 2015 and 2016 financial statements and of its 2017 management accounts is still on-going and will be concluded shortly, adding that this demonstrates FAAN’s commitment to investing in infrastructure, safety, security, human capacity development and creating the environment to encourage innovation for efficiency. “Our revenue lines are growing, we are putting processes and systems in place to enhance efficiency, optimise our human capital and enhance our services delivery around all our airports. Though there is room for improvement we remain committed to our mission and to meeting all our obligations to our various stakeholders,” he added. Banks who were present at the occasion expressed their enthusiasm to work with FAAN and assured that in their dealings with the authority so far, it has proven to be credit worthy.